It’s a modern world with modern problems, and one of the most significant issues that we live with comes from the continuous hacking of technology. The thing is, it’s not just our computers that get hacked, it’s phones, car key fobs, tablets, and laptops. All of our electronic devices want our personal information, but that information is vulnerable. No matter how many passwords you add to your belongings, there will always be someone who has developed something to try and overcome those barriers to access your personal information. It’s for this reason that protecting your privacy properly is essential. Hacking is one of the easiest, non-violent ways to ruin your life. Criminals use these routes to watch your moves and extort money from you, and it’s a crime on the rise. With the rise of crime in this area, you need to be on guard as best you can, and the best way to do that is to invest in a device called a Faraday bag. It’s not always a handbag, either. You can invest in a waterproof backpack, wallets, and purses to shield your devices from influences from the outside. These faraday bags work like a portable safe; except that a safe is massive, obvious and usually buried in the walls of a building. Faraday bags, wallets and purses are smaller, lightweight and easy to transport discreetly while being affordable to those who want them the most. Police departments and law enforcement officers use faraday bags as part of their uniform, as they help to keep secrets and maintain privacy. Most faraday bags on the market are military grade, too, so you know you’re getting the highest level of quality and protection there is. Faraday bags are a hand-me-down idea invented by Michael Faraday, a British scientist who built a ‘cage’ that could block electromagnetic fields. Initially, he did this by coating an entire room in metallic foil, and he proved his theory by shooting high-voltage charges at the room. He realized that the foil acted as a shield from electricity and radio waves, and since then, these cages have evolved into the bags, wallets, and purses we see on the market today, as well as other items. They can stop digital pickpocketing from occurring, keeping your belongings safe at all times. Released in 2016, the X2 Faraday duffel bag is a versatile addition to the shielding products list. 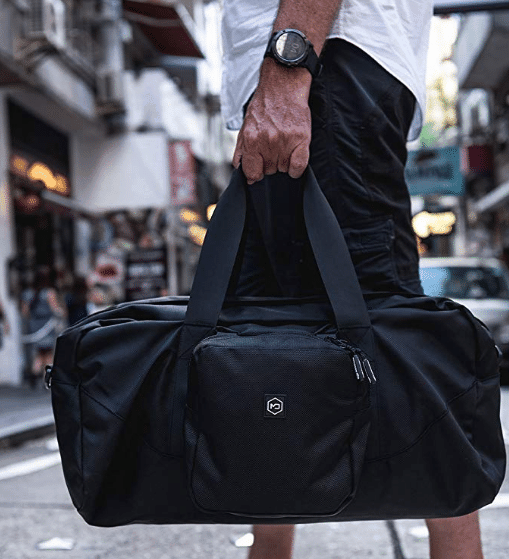 The Faraday bag has a detachable pocket, with the primary purpose being a secondary shielding compartment when it’s combined with the duffel bag. It can also attach to other packs on the market. The X2 duffel has been built with durability in mind, with double paired seams and materials of high quality. 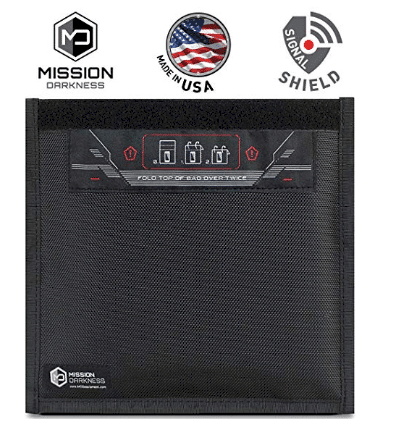 This is a bag that can shield 5th generation devices, meaning that this faraday bag can represent the newest innovations of shielding for military and civilian life. 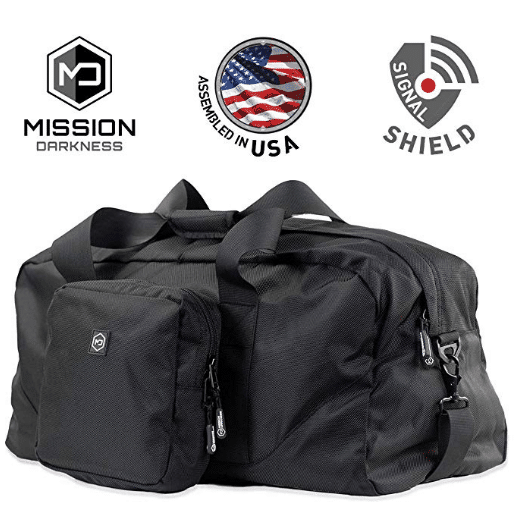 This is a military grade duffel bag, and for military operators, it is a lightweight solution to shield devices in the field. To give you an idea of the capacity of the main pocket, this faraday bag can hold around 15 cell phones, which is big enough for daily operations. If you’re not using the bag, it can fold flat and small, which helps to cut some of the space taken up in your main backpack. Both the detachable pocket and the main bag can shield from outside interference, and it’s well worth the money spent! Military-grade faraday duffel bag with MOLLE webbing on front side, unshielded outer zipper compartment, and detachable MOLLE faraday pouch with quick snap straps. Shields multiple laptops, cell phones, tablets, GPS units, electronic toll collection transponders (like E-ZPass), keyfobs, or other small to large devices from ALL wireless signals. EMI shielding & RFI shielding. Primarily designed for law enforcement forensic investigators, also used for military, executive travel, personal security, EMP protection, and solar flare protection. Blocks WiFi (2.4 & 5GHz), Bluetooth, cell signals (4G LTE+), GPS, RFID, and radio signals with 60-80dB average attenuation. Two layers of high-shielding fabric on all sides with dual paired seam construction. Main Duffel Dimensions: 26" x 13" x 13" | Detachable MOLLE Faraday Pouch Dimensions: 8" x 6" x 2"
Uniquely serialized for asset tracking. Closable pocket on back to place company/agency information. Water-resistant ballistic nylon outer materials. It could be the best backpack you have ever invested in; the Silent Pocket Faraday Waterproof Backpack is designed to be clean and discreet. It’s one of the only backpacks on the market that can block all wireless signals while also preventing water. You can’t control much of the 71% of water on the planet, but you can control how affected your electronic devices are by the water around you. This is a backpack that gives you complete peace of mind wherever you happen to travel. The 2-way roll down and clip design for the sides and top help to add to the security of this waterproof wonder. Not only will this waterproof backpack stop signals from hitting your devices, but it also prevents your devices from emitting any signals to others. We may be in a world of electronics, but that doesn’t mean that you can’t step off the grid now and then. This is a backpack that shields against EMR radiation and static shock as well as the signal from smart keys and GPS tracking. Think Silent Pocket Faraday Waterproof Backpack when you need a waterproof safety net while you travel. TRUSTED BRAND AND TECHNOLOGY: Silent Pocket is the only patented Faraday Cage system on the market. Our proprietary wireless shielding technology is trusted by the US Government and Global Enterprise Companies. Don't leave your safety and security in the hands of just any product. 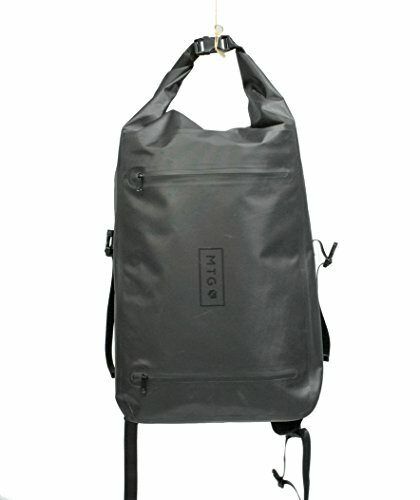 SIGNAL PROOF AND WATERPROOF: Device and laptop backpack for protection against the elements and against hacking. Great for use as a counter-surveillance travel backpack to protect against identify theft, cell phone spying and GPS tracking. Also a great way to protect your devices and data as a work / school / college backpack. DURABLE AND CONVENIENT: Made from the highest quality Rip Stop 400D Nylon TPU with RF welded seams and high-tension thread. Measures 15" x 15" x 3", providing 20L of space. 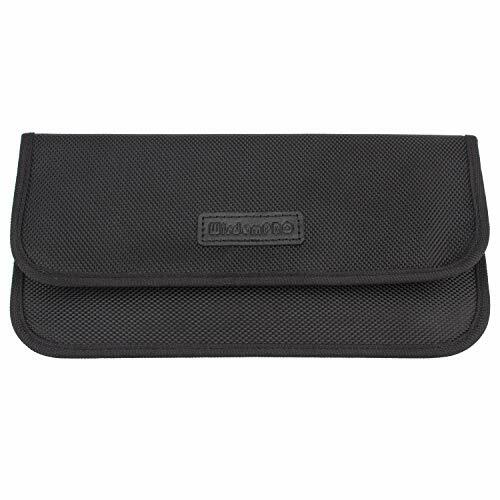 Fits large laptops, tablets, and most electronic devices. Extremely durable roll down and clip seal and dual opening pocket. All while providing you comfort with premium cushioned shoulder straps. BLOCKS ALL SIGNALS: 100% Signal Blocking Faraday Cage Technology. 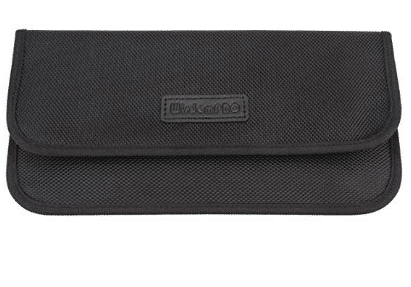 This Faraday Bag is the perfect RFID Blocker. Our technology shields against RFID, WIFI, Bluetooth, NFC, Cellular, GPS, EMP, CME, Static Shock, Radio - every signal type! Also provides EMF protection against the long term effects of EMF Radiation. QUALITY GUARANTEED: Our Faraday bags are made from high quality durable Nylon TPU with our proprietary signal blocker technology layered inside it. 100% money back guarantee! Our Encinitas, California based customer service agents will address any questions or concerns you may have. 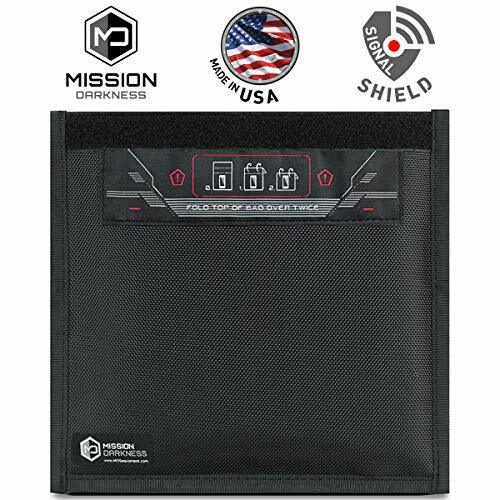 It’s not often that people consider the need to protect their phone from outside signals, but with the Mission Darkness Non-Window Faraday Bag for Phones, this is never going to be an issue. It’s a bag that blocks all wireless signals completely, and it can mean the difference between your phone being hacked or not. Some people worry about their phone being tracked, but with this non-window faraday bag, phones are properly enclosed, with no entry for malicious code or other interfering signals. These bags are mostly used for law enforcement individuals, as well as those under protection and those in the military. 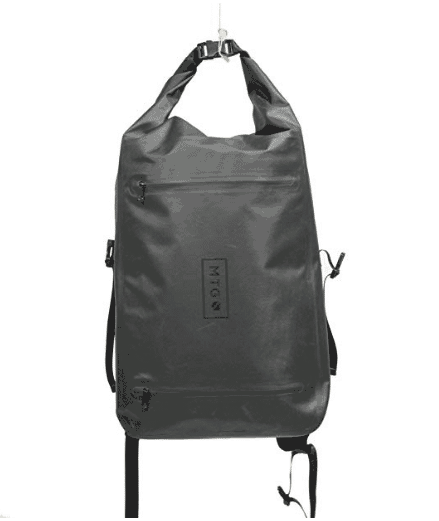 The Mission Darkness Non-Window Faraday Bag for Phones is designed to stay dry and protected, as it’s been constructed with water-resistant nylon. It’s so much easier to travel safely with this faraday phone bag because you can preserve your privacy wherever you are visiting. Users can also download an app to test the signal blocking strength of any of the Mission Darkness Non-Window Faraday Bag for Phones on the market. There is also a pocket on the back of the bag so that the company and personal information can be added. As it’s an asset, it comes with unique serialization to be tracked if necessary. It’s a bag worth investing in. Outer dimensions: 9.75" x 9.5" | Inner usage dimensions: 5.5" x 9" | Double roll and Velcro closure. Cars are stolen all too often, and with a lot of vehicles going keyless entry, the risk of theft is even higher than you expect it to be. Thieves aren’t just breaking in with hammers and screwdrivers anymore, but with relay devices to hack a smart system without even using a key fob. This is where the Wisdompro RFID Signal Blocking faraday bag comes in. It’s a signal blocking bag that works to protect chip technology such as credit cards, cell phones, and keyless entry key fobs. The inner silver layer of the bag blocks signals and the outer layer of Oxford cloth makes the whole thing look discreet and sleek. As long as you ensure that your belongings are put inside the silver layer of the bag, you’re going to be able to keep your belongings safe from hacking, tracking, and theft. It’s the modern option for those who are looking for those wanting the most security for their belongings. The smarter that we get with our technology, the smarter thieves get. This Faraday Bag, Wisdompro RFID Signal Blocking is a way to be one step ahead at all times. It’s a must for the modern traveler. In a world of contactless payments, we need wallets and purses that are going to protect our belongings as much as possible. Contactless technology makes our wallets smarter, and wallets such as the Mt. 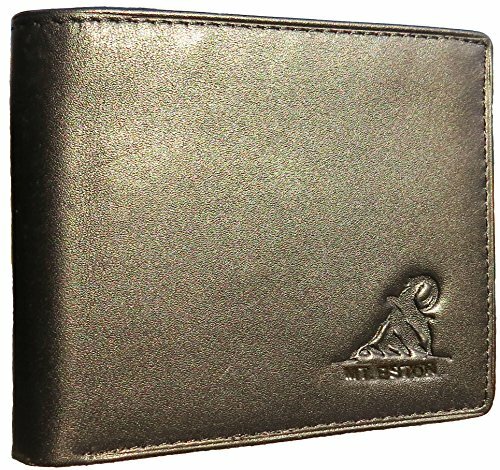 Eston RFID Blocking Trifold Bifold Mens Wallet make us more intelligent when we buy them. This is a wallet of the future. Not only does it hold 11 cards at one time in the traditional sense, but it also has four extra slots behind each of the card sections. This can hold receipts, travel tickets and as a bonus, this is a wallet that comes with a lifetime warranty. This RFID wallet has security and assurance through the RFID blocking technology that is built right in. It can prevent thieves from scanning your wallet and skimming your bank accounts and credit cards with ease. For quality, it is made of 100% pebble grain leather, finished in black and is hand-stitched for that luxury touch. It’s the perfect gift for the safety conscious who also love a little security with their belongings. RFID Blocking Security - Mt. 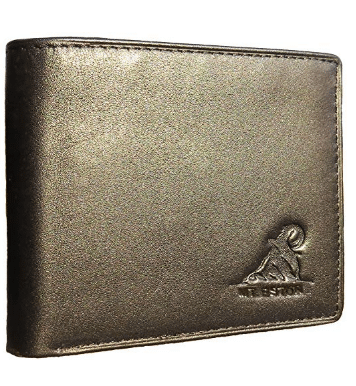 Eston Wallets give security and assurance with our independently tested RFID Blocking technology. RFID Blocking prevents electronic thieves from using a scanner and stealing your credit and debit card information simply by walking near you. Our military grade RFID shielding technology is tested and approved at 10 MHz to 3000 MHz, including the 13.57 MHz that RFID credit cards use. Protect yourself with an RFID Blocking Wallet. Sealed Gift Box - Mt. Eston Wallets are the perfect present on his Birthday, Anniversary, Graduation, Wedding, Christmas, Valentine's Day or Father's Day. Wallets are factory sealed in a stylish gift box, so you can easily gift it to that special someone on that special day. Our professionals take great care to wrap each wallet in special packaging so anyone will be impressed with the smell and feel of the wallet unwrapping it for the first time. High-End Quality and Value - Wallets are produced with the Finest, Smoothest, Softest Napa Pebble Grain 100% Leather (Black) that we add a Premium Finish. Our U.S.-based family business are experts in sourcing the best leather, wallets are then hand-stitched at our supervised international factory, and then individually inspected at our U.S. facilities to ensure a durable, high quality build. Our unique process ensures the best quality, affordable product on the market. Lifetime Warranty and 100% Money Back Guarantee: To quality for our Lifetime Warranty, 100% Money Back Guarantee, you must purchase from Mt. Everest Products. It will say "Sold by Mt. Everest Products and Fulfilled by Amazon". Mt. Eston is under USPTO trademark, purchases from any other unauthorized sellers under this listing will not qualify.